Petroleum resins are low molecular weight thermoplastic hydrocarbon resins obtained from cracked petroleum fractions. It has a tackifying effect, which is slight sticky effect and hence, is used in coatings, paints, varnishes, printing inks, paper, lithographic inks, adhesives, concrete curing compounds, rubber, and other applications. It is available in powders, crushed nuggets, flakes, solid block, beads, solutions, and dispersions forms. Increasing use of petroleum resins for application in different end-use industries including automotive, construction, and consumer goods among others for coating, waterproofing and rubber compounding is driving growth of the petroleum resins market. Growing demand for petroleum resins containing low volatile organic compounds (VOCs) due to stringent government regulations on VOCs emissions such as Directive 1999/13/EC for VOCs emissions from vehicle coatings and others is further fuelling growth of petroleum resins market. Volatility in the cost of raw materials is one of the major factor restraining growth of the global petroleum resins market. Aliphatic C5 resins accounted for the highest market share in 2016. This is due to advantages of aliphatic C5 resins such as better glutinosity, good anti-ageing properties, fluidity, low volatility, and minimized odor. These are used in hot-melt adhesives, pressure sensitive adhesives, solvent-based adhesives, rubber damping pieces, rubber for inner tube of tires and other applications. Adhesive and sealants accounted for the largest market share over the forecast period. Petroleum resins are used as tackifiers in adhesives and sealants to improve tack, peel strength, specific adhesion, balance adhesion and cohesion, enhance high temperature performance, and decrease cohesive strength. Automotive industry accounted for the highest market share in 2016 owing to the use of petroleum resins in rubber compounding to enhance modulus of the compound and chipping resistance. According to the International Organization for Motor Vehicles Manufacturers (OICA), the global motor vehicle production was 90,780,583 in 2015, which increased to 94,976,569 in 2016. This growth in motor production is increasing demand for petroleum resins in the automotive industry. 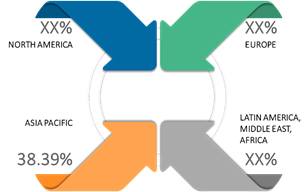 Asia Pacific is the dominant petroleum resins market owing to increasing demand from various application segments such as paints, sealants, adhesives, coating from automotive and construction industries. For instance, according to India Brand Equity Foundation — a trust established by the Department of Commerce, Ministry of Commerce and Industry — the passenger vehicle production in India is expected to increase US$ 10 million in 2020 from US$3.2 million in 2015. Also, according to the International Trade Association, Department of Commerce, the total automotive market size in 2015 was 24.94 million units, which increased to 28.36 million units in 2016. Thus, rapid growth in automotive industry in India and China is driving growth of the petroleum resins market in Asia Pacific. North America is the second largest petroleum resins market due to growing demand from the automobiles industry. For instance, according to International Organization for Motor Vehicles Manufacturers (OICA), the total automotive sales in the U.S. and Canada was 19,785,141 in 2015, which increased to 19,849,518 in 2016. Demand for petroleum resins for applications in adhesives and sealants is increasing in the Europe market. According to the European Adhesive and Sealant Industry (FEICA) the European adhesive and coating market was valued at US$ 16,019.03 million in 2014 and accounted for the market share of 35%. Asia Pacific held the largest revenue share of 38.39% in 2016 and is expected to retain its dominance over the forecast period. Key market players in the petroleum resins market are adopting various strategies such as joint venture, new plant development, and capacity expansion for business expansion. For instance, in May 2017, Rain Carbon Inc. announced construction of new capacity for hydrogenated hydrocarbon resins in Uithoorn, the Netherlands. In December 2016, Rufayah Chemicals Company (RCC) and Sadara Chemical Company signed a deal to set up hydrocarbon resin plants at Jubail in Saudi Arabia’s Eastern Province at investment of US$ 500 million; and in March 2014, ExxonMobil Chemical set up a new facility for Escorez hydrogenated hydrocarbon resin production with capacity of 90,000 tons per year in Singapore. Key market players in the global petroleum resins market are Arakawa Chemical Industries, Eastman Chemical Company, Exxon Mobil Corporation, Ltd., Kolon Industries, Inc., Lesco Chemical Limited, Zeon Corporation, Seacon Corporation, Neville Chemical Company, Total Cray Valley, and Anglxxon Chemical Co., Ltd.
Petroleum resins are obtained from cracking of heavy carbon feedstock. It has properties such as solubility, softening points, thermal stability, and chemical stability. Increasing demand of petroleum resins in footwear, leather, contact adhesives, hot melt adhesives, fragrance fixatives, plastic and rubber modification, wax modification, pharmaceutical adhesives, and other applications is propelling growth of global petroleum market. Volatile cost of raw material such as crude oil is one of the major restraint to growth of the petroleum resins market. For instance, according to U.S. Energy Information Administration, the crude oil price in the U.S. in 2016 was US$ 43.29 per barrel, which increased to US$ 63.82 per barrel in January 2018. Asia Pacific accounted for the largest share in the petroleum resins market in 2016, followed by North America and Europe. Asia Pacific accounted for 38.39% market share in 2016. Growth in construction and automobile industry is driving growth of the petroleum market in this region. For instance, according to the International Trade Association, Department of Commerce, the automobile output in China is expected to reach 30 million units by 2020 and 35 million by 2025. Automotive sector is the largest end-user of petroleum resins. This is owing to its properties such as compatibility with ethylene-vinyl acetate, styrene-butadiene-styrene and others for application in the automobiles. For instance, according to International Organization for Motor Vehicles Manufacturers (OICA), the global production of passenger vehicles was 68,618,998 in 2015, which increased by 5.4% to reach 72,291,747 in 2016. Key companies covered as a part of this study include Arakawa Chemical Industries, Eastman Chemical Company, Exxon Mobil Corporation, Ltd., Kolon Industries, Inc., Lesco Chemical Limited, Zeon Corporation, Seacon Corporation, Neville Chemical Company, Total Cray Valley, and Anglxxon Chemical Co., Ltd.
*Browse 300 market data tables and 90 figures on "Global Petroleum Resins Market - Global forecast to 2025”.